What are this Halloween's must-see amateur attractions? Which L.A. yard haunts are scary, and which are simply spooky? Which are decorated yards, and which are walk-through mazes? To find out the answer to these and other questions, read on...if you dare! 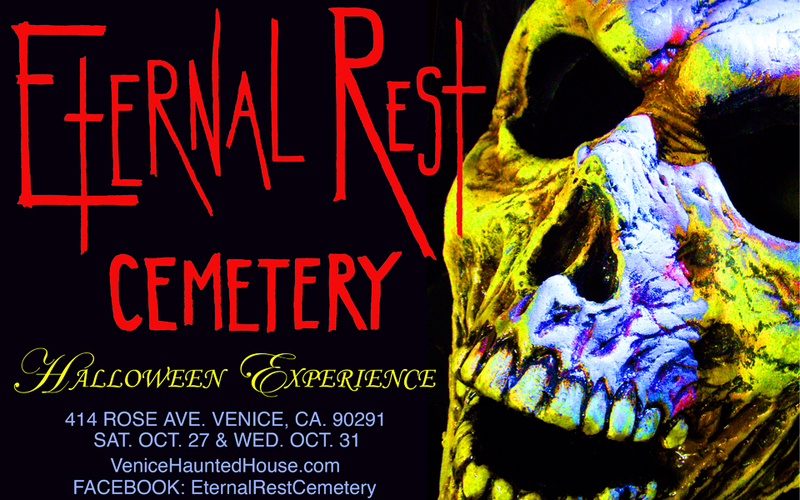 We're heading into the final weekend of October, when the majority of Halloween yard haunts open their cemetery gates and lure happy trick-or-treaters inside for some frightening fun. 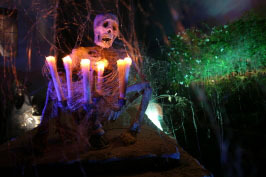 Many will also be open on October 30 and 31, maybe even November 1, but if you wait that long, you will miss your opportunity to enjoy the full range of Halloween yard haunts available in Los Angeles. Therefore, we recommend that you plan to visit as many as possible this weekend. 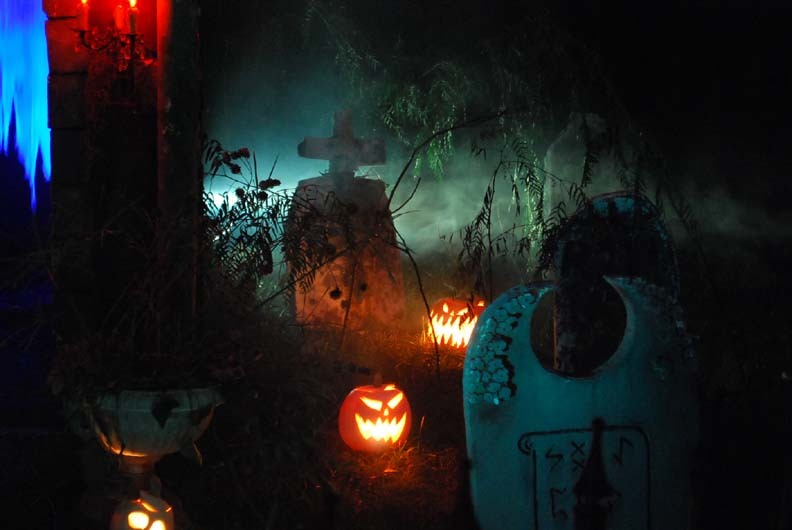 Of course, you can expect to see our perennial favorites listed below, but we will begin this year's list with yard haunts we experienced for the first time last year, but too late to include on 2012 Halloween Recommendations: Best Yard Haunts in Los Angeles. And for what it's worth, let's make a distinction between "best of" and "must see." A "best of" list usually comes at the end of the season, after all the competitors have been sampled; this "must see" list is by necessity based on past experience, since only a few yard haunts have begun operation so far. Description: We first traversed this haunted terrain in Halloween 2012, when it was titled Haunt on Garden Street and featured a cemetery in the yard and a walk-through mausoleum. This year's theme is an old Western mining ghost town. 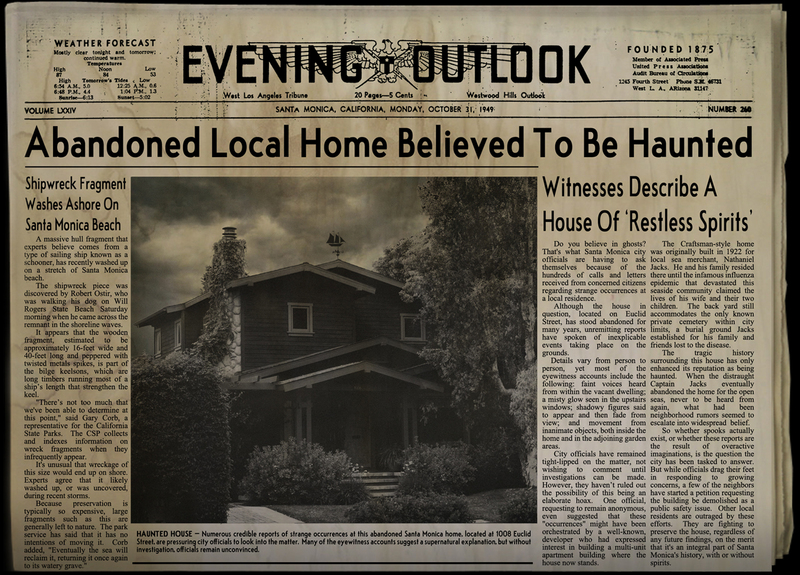 Instead of an interior walk-through, trick-or-treaters will wander through the street of a small town, with several atmospheric buildings: a hotel, a mission, an undertaker's, etc. We did a brief drive-by last night and were totally impressive with the convincing construction: if there's a real house on the lot, it is well hidden behind the Halloween facades; you really will feel as if you are entering a miniature ghost town (it certainly helps that the adjacent houses are also decorated). 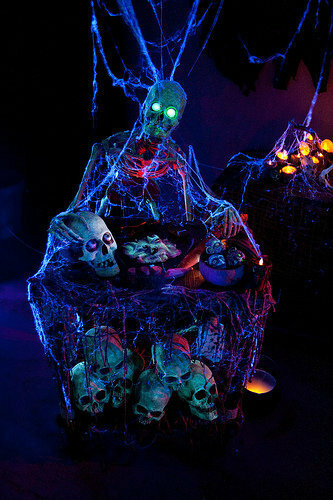 Sets, lighting, and some motorized props (a twitching hanged man; kicking feet in a coffin) are currently up and running. Full effects with fog and music should be starting soon, perhaps this weekend(check their Facebook page to be sure). On Halloween night, children will have fun with the interactive elements (mining for gold - no, not gold, mining for body parts) while their parents marvel at the scenery. Hours of operation are typically from sundown to approximately 10:00pm. 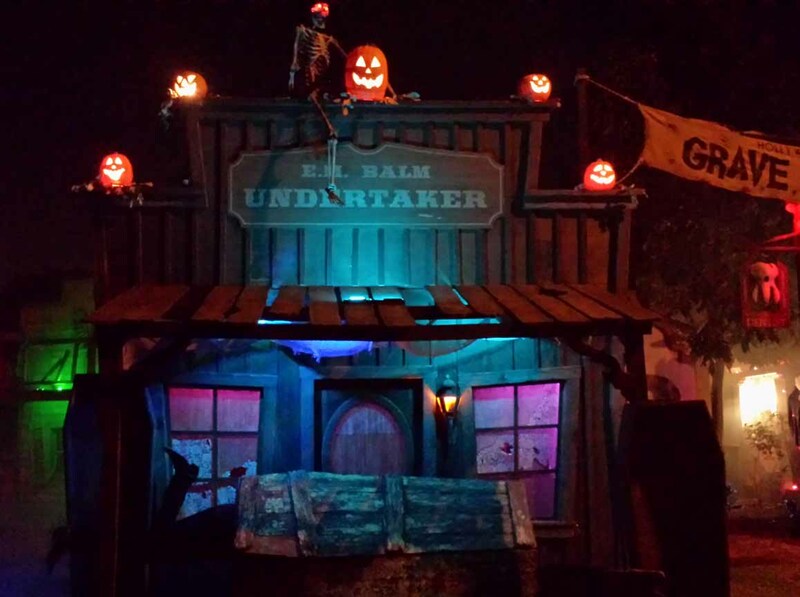 The Hollywood Haunter yard haunt is free, but visitors are asked to donate a non-perishable item to support the local food bank. We though Halloween 2012's Haunt on Garden Street (reviewed here) was a wonderfully spooky and mildly scare. Grave Rock Gulch sounds more kid-friendly, but the sets are even more elaborate and definitely worth checking out. Description: Here is another home haunt we first encountered in last Halloween. 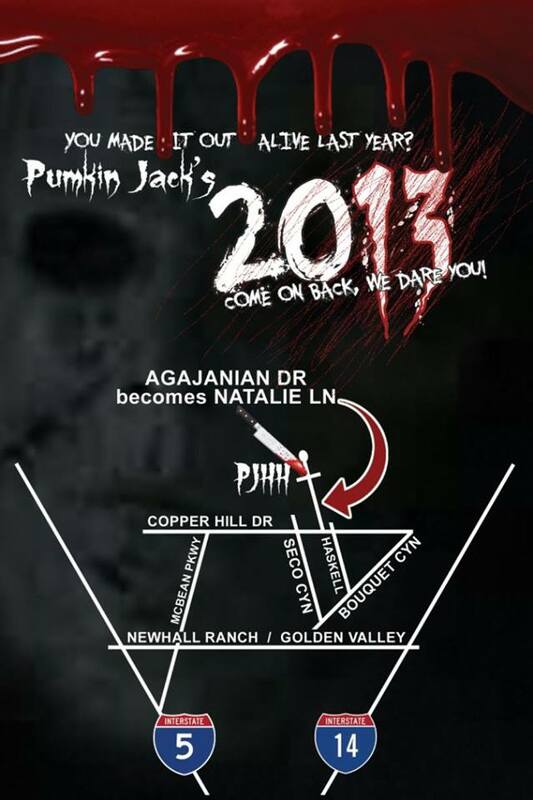 Located on a corner lot in a quiet Santa Clarita neighborhood, Pumkin Jack's Haunted House is more home haunt than yard haunt. There are some decorations outside, but the highlight is a 600-foot walk-through maze inside the garage. 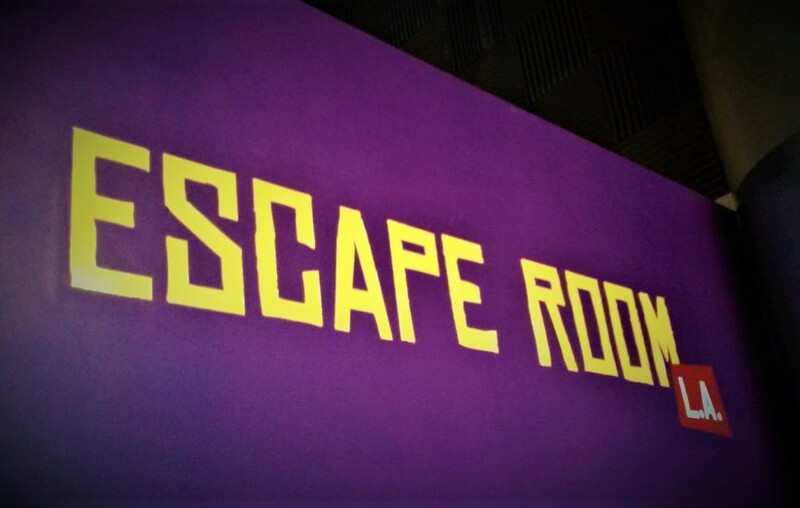 Although there was some plastic tarp on view, the construction mostly maintained the illusion of being inside a haunted house, and a jumble of details (TV screens displaying empty static) confused the eye, creating a sense of visual chaos that obscured the flaws. Eight separate rooms, each featuring a different theme, featured such familiar faces as Freddy Kruger and Michael Myers. The masks and decor looked mostly store-bought, but they were nonetheless effective. Pumkin Jack's Haunted House is not up to the level of The Backwoods Maze or Big Worm's Camp Sherwood, but it ranks comfortably alongside such other admirable amateur attractions as The Haunted Shack. It's also in the same general area as the Heritage Haunt, so why not make it a two-fer night? Dates: October 25-27 & 31. Description: In 2012, Big Worm's Sherwood Scare exploded onto the Halloween scene like a demon blasting through the Gates of Hell, presenting one of the best haunted house attractions of any kind, amateur or professional. And we really do mean "haunted house" - not an asylum or a psycho-circus or any other variation - with rooms carefully crafted to hide the phantoms lurking inside. After that kind of debut, it was an open question whether Big Worm's Sherwood Scare's sophomore session could live up to its own high-standards, but this Halloween's Camp Sherwood recreates the overall mood - atmosphere and anticipation, punctuated by pop-scares - while using an entirely new theme, a haunted summer camp, a la Friday the 13th. 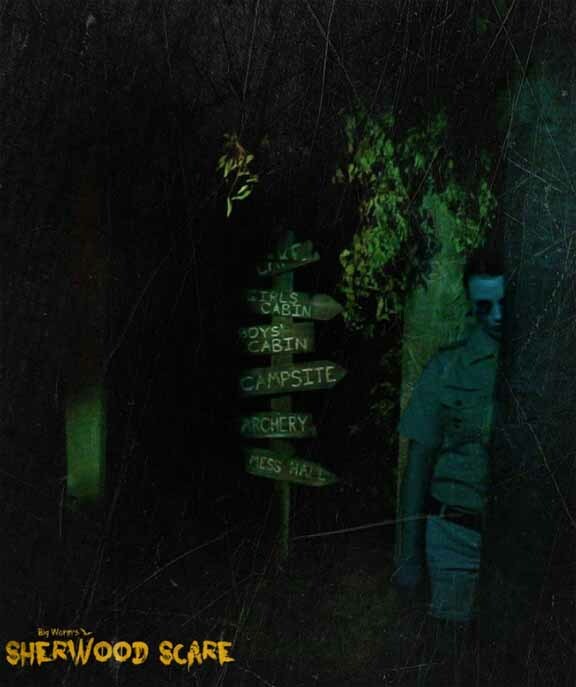 The expanded mazed (2,000 square feet instead of 1,800) does a great job of transporting you through the facilities of "Camp Sherwood," and there are at least two must-see scares: one at the beginning and one at the end, providing the best bookends of any Halloween haunt in Los Angeles. Note: The “Big Worm” moniker comes from the nickname of the CF victim who founded the organization before his death; his family now keeps the foundation going in his name. This is a worthy cause and well worth the $3 admission price. 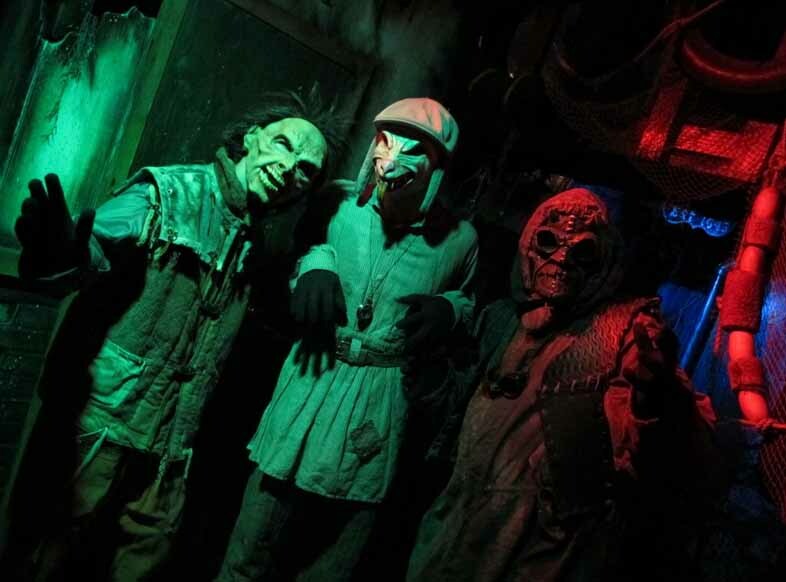 Description: As is to be expected, Backwoods Maze offers one of the best walk-through haunted attractions, amateur or professional, that you will encounter in Halloween 2013. The backwoods slaughterhouse theme has been replaced with a more futuristic one, a "Death Race Rumble" featuring armored vehicles and scares that come from all directions - including above. These post-apocalyptic mutants seem rather more athletic than their cannibal-crazy predecessors, leaping at you like ninja assassins. There are so many scares packed into this haunt that you almost can't believe it's fits inside a single back yard. 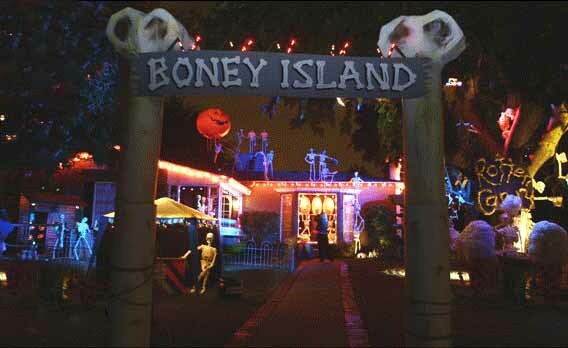 The Boney Island Yard Haunt offers a haunted yard full of mystical illusions and goofy gags that will appeal to both children and adults. There is absolutely nothing to frighten the young trick-or-treaters; instead, you will see a skeleton magic show, featuring goofy gags and magical cauldrons that spout fountains of colored water in time with Halloween music. 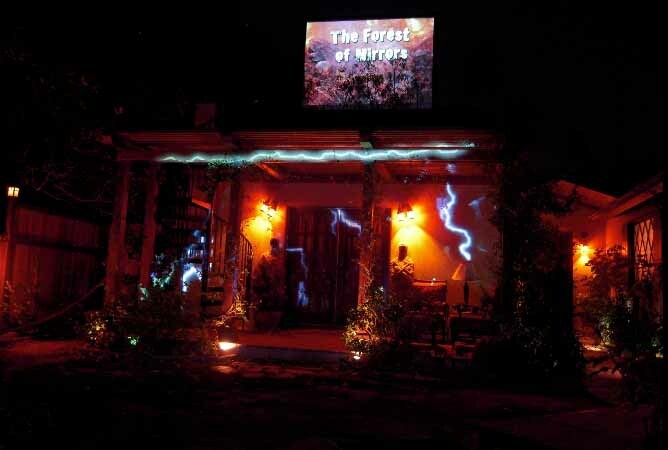 Description: Rotten Apple 907 - one of the best group of yard haunters in Los Angeles - offers four nights of Halloween horror this October. 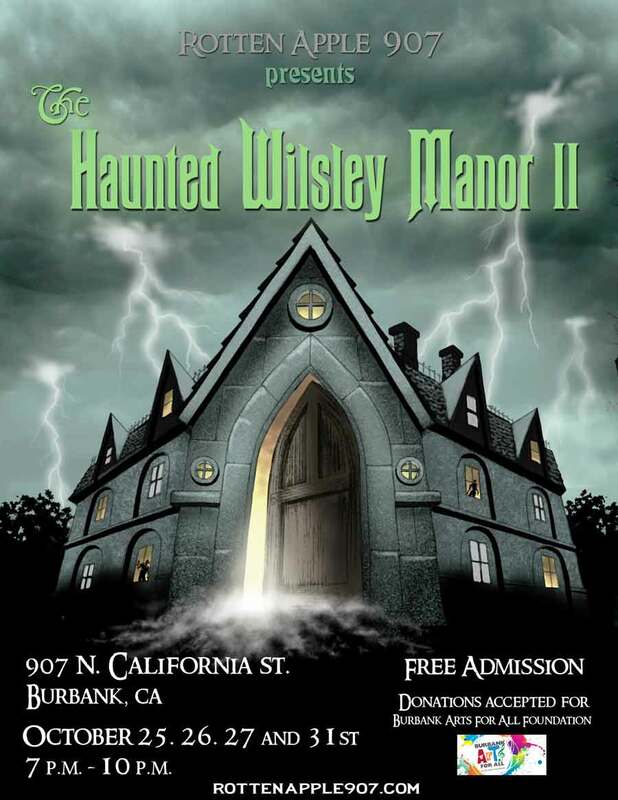 Halloween 2013 sees the a resurrection of sorts: The Haunted Wilsley Manor II offers a variation on last Halloween's traditional haunted house, set in a mansion once owned by a pair of brothers, one of whom went homicidally insane. His victims still walk the halls - do you dare enter and confront them? 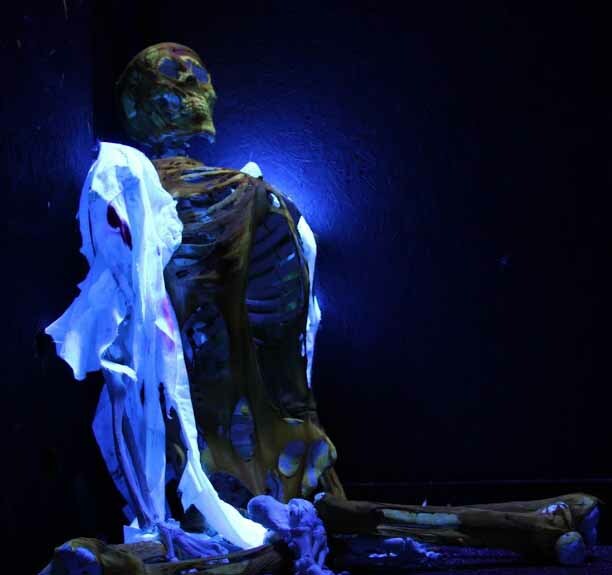 Rotten Apple 907's home haunts have always been fun, but in recent years they have extended their walk-through maze and offered professional-quality scares, making this one of the best amateur attractions around town. 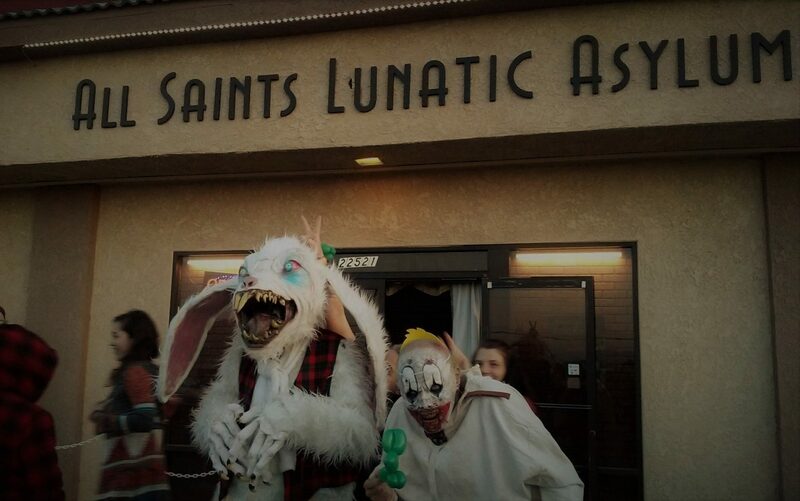 There are many other great Los Angeles Halloween Home Haunts. You can find last-minute additions filed under yard haunts.